Now that the weather has warmed up it is time to start thinking about surface fishing. A lot of the time you can catch the fish from straight off the surface with an artificial bait, a chum mixer, a nice piece of bread pinched around your hook or any number of other floating baits. Sometimes though you will find that the fish have got wise to floating baits and will no longer take off the surface or simply that they are feeding at different levels within the water columns. This is where zig fishing comes in, zigs can be anything from cut down pop ups, foamright through to dedicated specially made zig flies. You can just use a fixed hair to make your zig rig but a 12ft zig hair is a tad hard to cast and the fish may not always be eating at that level. 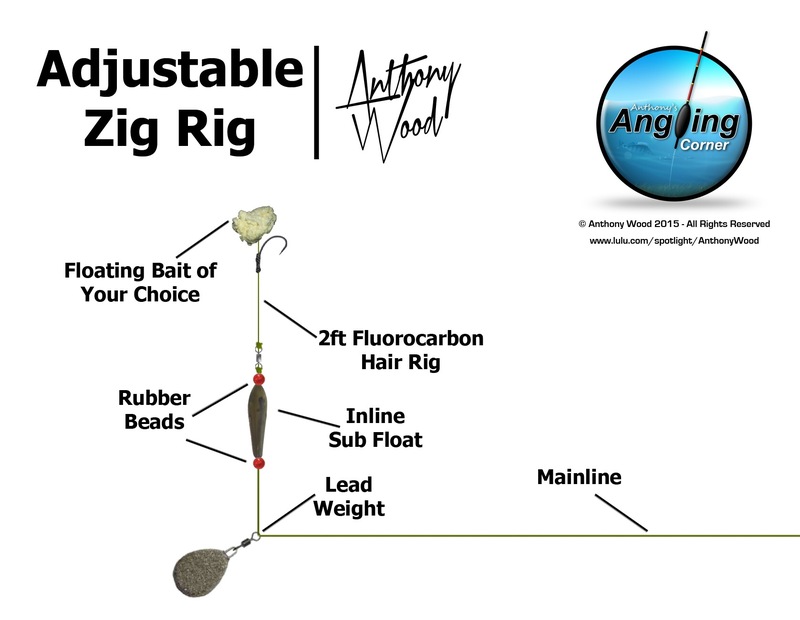 The adjustable zig rig is a much easier rig to cast out and manage, it is made using a 1ft-2ft hair, couple of rubber beads, a controller float and a lead. 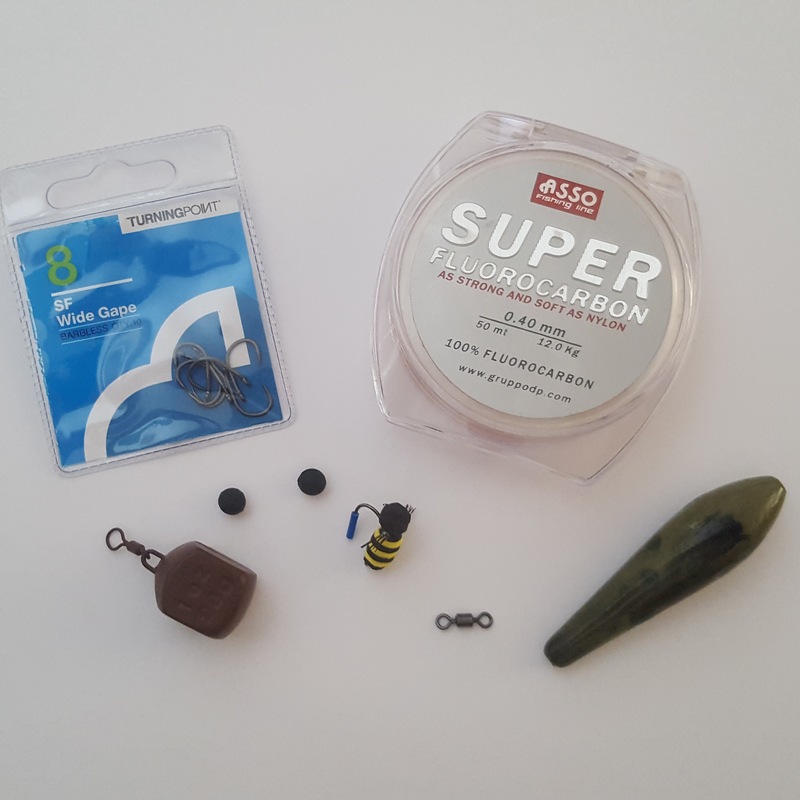 Slide the next rubber head onto the mainline and then tie on the 1ft-2ft hair (make the hair with a suitable fluorocarbon such as the one pictured from Asso) onto your mainline and you are ready to fish. 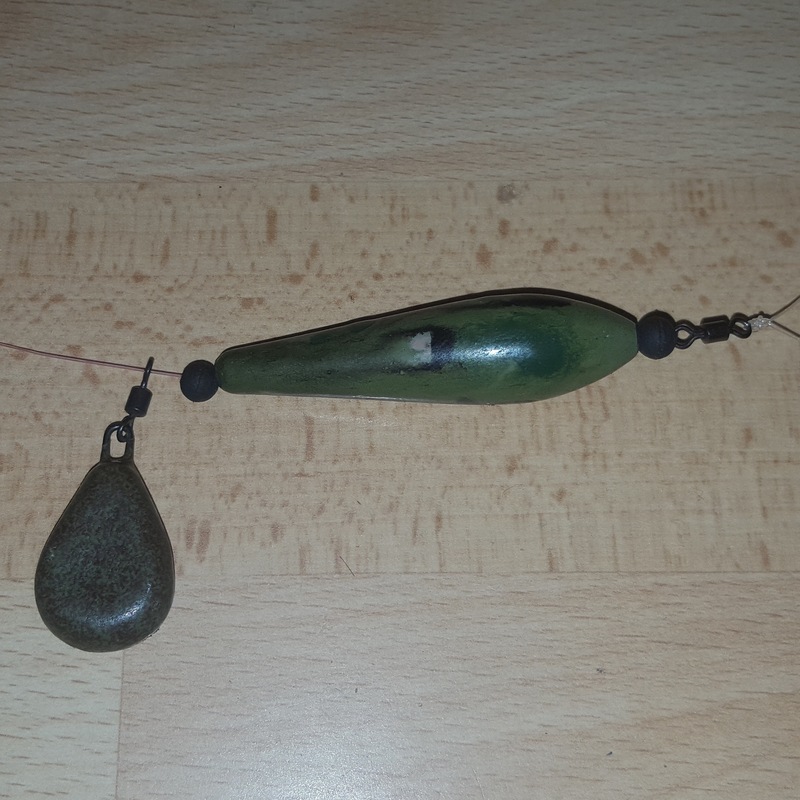 The great thing about this rig is that as long as the water is deeper than 1ft-2ft you can fish at any level in the water whether it is an inch under the surface (a great place for catching those wary surface Carp), mid water or even just off the bottom.